This vintage swirl design on top & bottom gives this square return address a flowing decorative impression. Your outgoing mail will have a sophistication of aristocracy. For a beautiful flow of intricate yet delicate design, this square return address stamp features your last name at the top and your address at the bottom. When preparing your cards & letters, this beautiful stamp will save you time and give your envelopes a unique personalization. 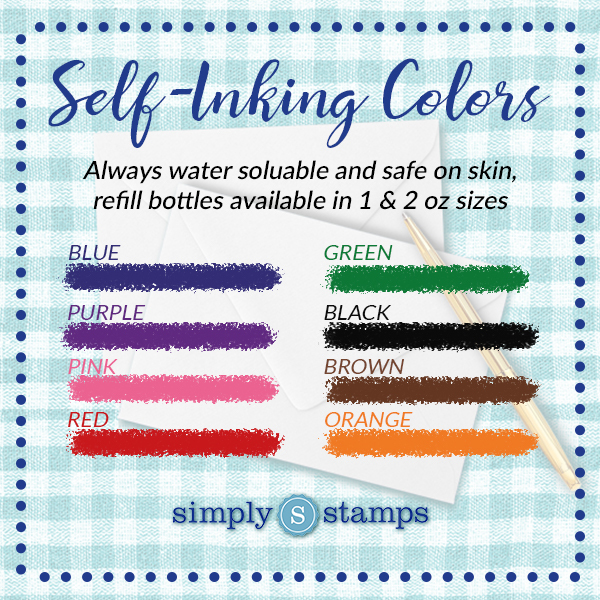 Choose your size, ink color and whether you want self-inking or a traditional hand stamp. Self-inking comes with an ink pad. Ink pad sold separately for traditional hand stamp. Most orders ship next business day. Your cards & letters are awaiting the arrival of this personalized stamp. Order yours today!